I coach athletes online in the US & UK. I work specifically with a couple of local athletes having watched them develop through their teenage years. I have one 18-year-old who runs sub 4 minutes for 1500m & a 16-year-old 400m runner who now runs 49.90. I used to coach two athletes who now run 1:50 (800m) and 28:47 (10,000m) respectively. I charge £120 a month for online training and that includes a training peaks account. I also provide videos & principles for all S&C units. Simon continually studies in Strength & Conditioning alongside his personal training and is Level 4 certified in Lower Back Pain Management. He also holds a HNC in Sport & Exercise Sciences, University of Birmingham. As a British Athletics Event Group coach across various disciplines, Simon also trains sprinters & middle distance runners with the potential of reaching Tokyo Olympics. Simon has coached English Schools & Championship medallists as well as an international cross country runner all from a young age. Before working as a personal trainer, Simon competed in a myriad of athletics events ranging from sprints to cross country. Putting in the hard work enabled Simon to compete in the English Schools, Nationals and the first ever UK School Games. After winning numerous titles over counties and midland championships Simon wanted to learn more and thus studied in Sport and Exercise Sciences at college and the University of Birmingham. 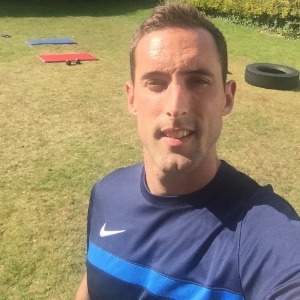 Currently Simon works as a full time Personal Trainer in Birmingham and spends time running his online video tutorials and planning and delivering training programmes. He currently coaches at Burton Athletics Club & Birmingham, Running, Athletics and Triathlon Club. His passion lies in athletics and has a keen interest in Yoga. He lists his former coach John Graves as his role model. Success. Coach Simon King has been notified of your message.